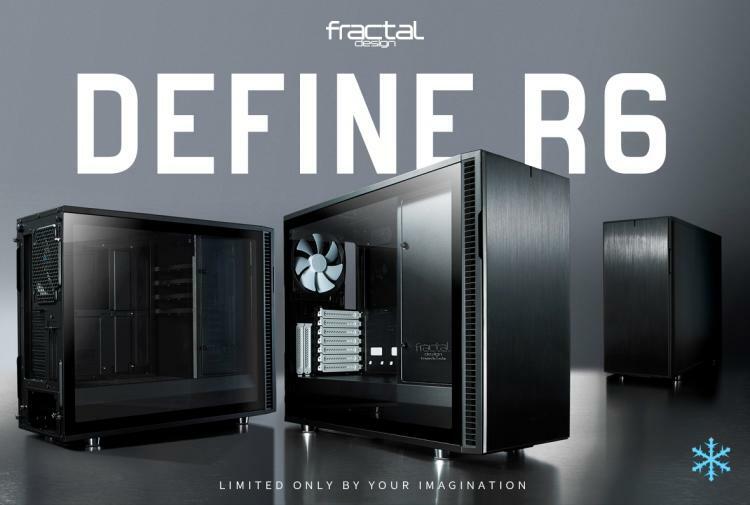 Fractal Design launches the new Define R6 chassis that’s crafted from the ground up offering great aesthetics with its seamless tempered glass panels while being optimized for silence with its sound dampened steel panels. The panels use Fractal Design’s signature push-to-lock latching mechanism along with a redesigned interior that optimizes space for storage drive support. The Fractal Design Define R6 can support up to six 3.5 or 2.5-inch drives plus two 2.5-inch drives added using precision placement in numerous mounting options throughout the chassis. Brushed Aluminium – The Define R6 sports brushed aluminium panels to give it its classy and elegant look. Tempered Glass Window – The scratch-resistant and screwless tempered glass offer a flawless view of the interior and ease of access. Optimized For Silence – The Define R6 features a solid build quality with high-density industrial dampening material to suppress sound. Third-Generation ModuVent Technology – The case also features an advanced design that allows users to choose between soundproof steel cover or filtered multi-fan ventilation as top panel. Custom Liquid Cooling Support – The Define R6 has an extensive custom liquid cooling hardware support, supporting radiators up to 420mm on top, up to 360mm radiators in front, and up to 280mm radiators in the base. Modular Interiors – The six drive bays are independent and can be removed or relocated as desired. 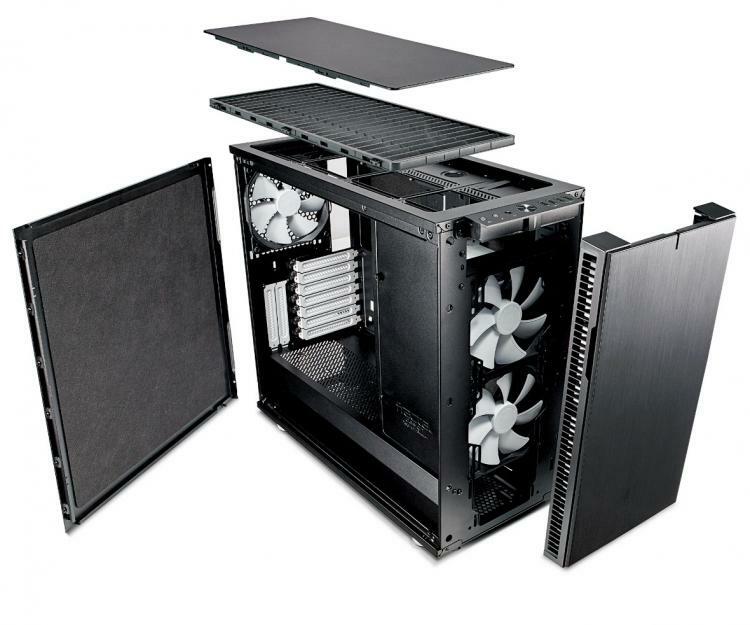 The case also sports numerous cable routing for easy cable management. Advanced Fan Control – The Define R6 sports the new Nexus + Smart Hub offering superior fan control to up to six cooling fans and three PWM devices controlled via the motherboard. Vertical Expansion Slots – For builders that would like to highlight their graphics card, a riser card can be bought separately to opt for a vertical mounting orientation. 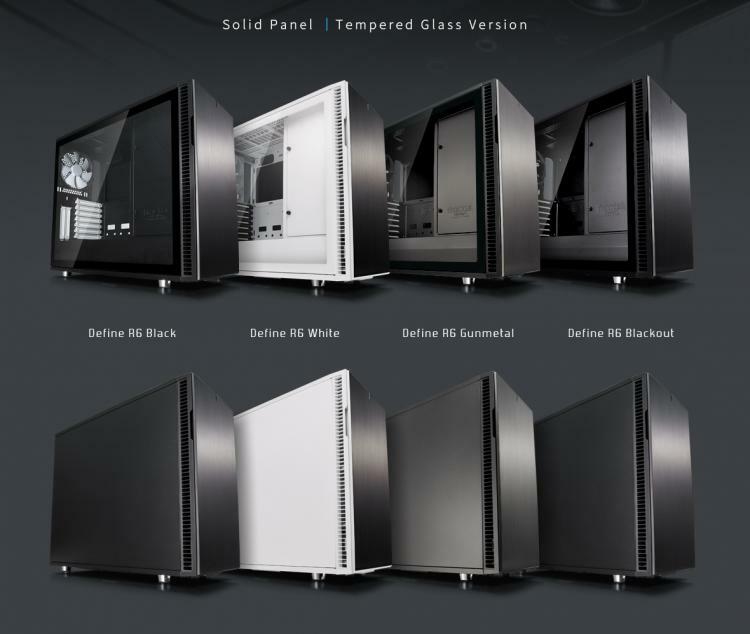 The Fractal Design Define R6 is available in solid panel and tempered glass versions, both available in four colours – black, white, gunmetal and blackout, a total of 8 different models. The Solid Panel Define R6 models have an MSRP of £119.99 while the Tempered Glass versions get an MSRP of £134.99. The Define R6 cases are now available at Scan.co.uk for pre-orders.